Offer an Incentive: Depending upon the type of survey and the audience you’re targeting, you may want to offer an incentive. People like the idea of getting something for their time. Pay attention to timing: Statistics show that the highest open and click rates take place on Mondays, Fridays and Sundays; therefore, these are the best days to send survey invitations. And remember who you’re trying to reach. If, for example, you are a sales-driven business, avoid sending surveys at the end of the month when your employees are trying to close business. Always test your survey: Make sure you pre–test your survey with a few members of your target audience or co–workers to discover any problems and unexpected question analysis. Maintain an order: Make sure your survey has a logical order. Start with a brief introduction that motivates participation, then move from broader–based questions to those that are narrower in scope. Try to use closed-ended questions: Closed-ended survey questions give respondents specific choices — yes/no, multiple choice, rating scale — making it easier to analyze the responses. 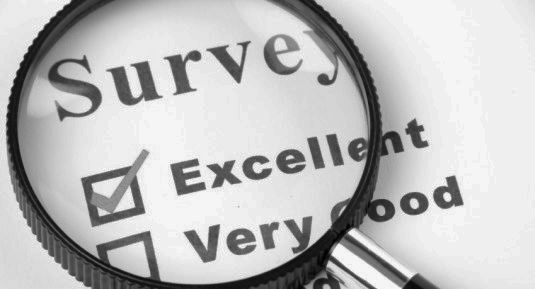 Keep your survey simple, short and focused: Short and focused helps improve both quality and quantity of responses. It is generally best to focus on a single objective rather than cover multiple objectives. Ensure that your questions get right to-the-point, avoiding the use of jargon or slang. Why are you creating this survey? What decisions do you hope to impact with the results of this survey?